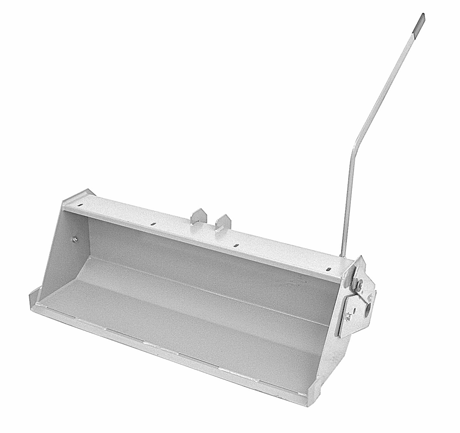 Front mounted, heavy-duty, 42-1/2” wide x 12-3/4” high x 13-1/2” deep, manual trip dumping, hardened cutting edge, 350 lbs. rated load. Rear “counterweight” required for maximum loads. Requires: HFH15, PP35, rear counterweight, call factory with questions.